Garage Door Repair Reno is an experienced professional company when it comes to all types of garage door services in Reno. We provide many types of garage door repair services that will answer all of your garage door needs. 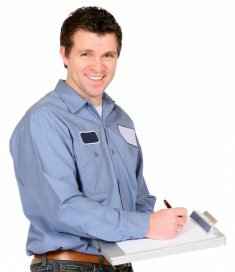 We have many years of experience in the field, so you can rest assure you are getting a professional licensed, bonded and insured garage door company when booking with us. We offer mobile garage door repair in Reno which includes neighboring areas such as Sparks, Sun Valley, North Valleys, and Spanish Springs. We provide our services year around 7 days a week which includes holidays as well for emergencies. We offer residential, commercial and industrial garage door repair Reno services which include sectional and rolling doors as well. From garage door springs, garage door openers, to garage door installation, we do it all. Contact us or give us a call to book your appointment with us today 775-501-6087. Garage door springs comes in two different types, extension and torsion. If you are experiencing issues with a broken spring, give us a call. Handling with garage door springs can be dangerous and should only be handled by professionals. Garage Door opener is an integral part of a garage door operation. There are many garage door openers in the market, so whether you want to upgrade your obsolete opener to a modern type, or replace a broken opener, we can help! Garage door installation is a complicated job that should be left for the professionals. Our professional technicians will come to replace your existing garage door with a new one. We offer many types of doors that would fit your needs. Copyright © 2019 Premier Garage Door Repair Reno. All Rights Reserved.